Modern Fashion Cowboy. 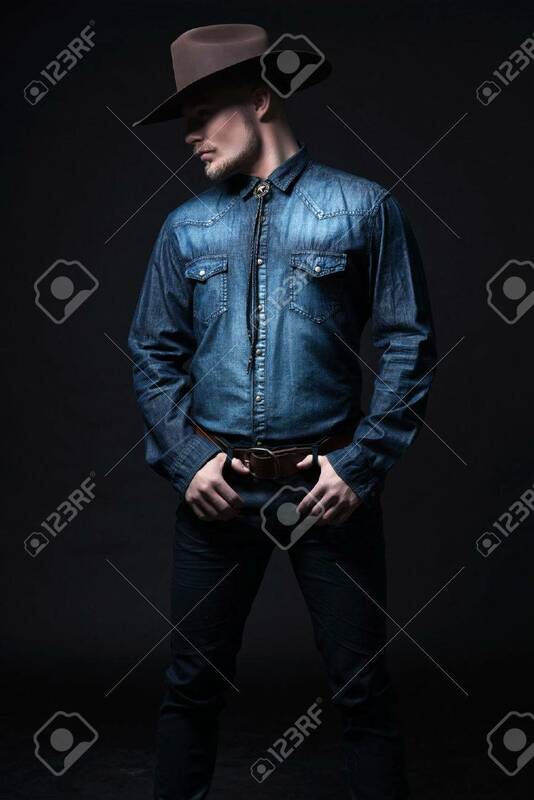 Wearing Brown Hat And Blue Jeans Shirt... Stock Photo, Picture And Royalty Free Image. Image 25226373.